A good deal of sunshine. Warmer. High 76F. Winds S at 10 to 15 mph..
Back when steamboats were in their prime, Illinois jumped on board and built the factories that would send the boats rolling out onto the Mississippi and Ohio rivers. The transportation was churned out from towns such as Metropolis, Cairo and Mounds. Robert Swenson, an associate professor in architecture at SIU Carbondale and Metropolis native, conducted research on the boats and found that Metropolis produced at least 64 of them in the late 1800s and early 1900s. He is planning on writing a book on the subject. Swenson came up with the idea when he found photographs of the boats while researching at Cairo Public Library. "I never knew until a few years ago that steamboats were built in Metropolis," Swenson said in a past interview. He said many of the boats were used as packet vessels and were between 200 and 250 feet long with one even stretching out to 329 feet. Some of the boats carried passengers. "It's been a really fun area of research trying to track down these boats," Swenson said. Steamboats are especially in the spotlight in 2011 because it is the 200th anniversary of the first steamboat voyage on the Mississippi and Ohio Rivers. The New Orleans traveled on the rivers in 1811 to ultimately reach its namesake. Metropolis will celebrate the bicentennial Saturday, Nov. 5, and Sunday, Nov. 6 at Massac State Park. According to the Metropolis Tourism website a traveling display, "Steamboats-a-Coming" and a poster contest at the Massac State Park Visitor Center will take place all weekend. 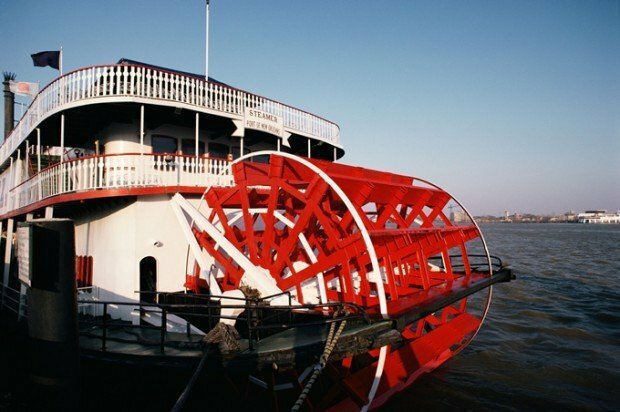 Saturday includes a tug boat tour, a presentation from Chuck Parrish, historian with the U.S. Army Corps of Engineers, on the voyage and development of the New Orleans. 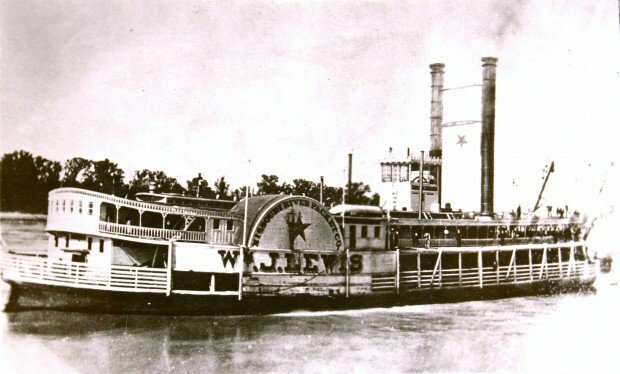 On Sunday, Swenson will give a presentation on "Metropolis Steamboat Memories," followed by a free concert on the Ohio River banks and then a riverboat dinner cruise on the Belle of the Cincinnati. Tickets for the cruse are $42.70 while sight-seeing tickets are $21.25. Swenson said the steamboat era is extremely interesting time for the region. "It's a really interesting kind of history Southern Illinois has that hardly anyone is aware of," Swenson said. Nov 5 and 6: Traveling display, "Steamboats-a-Coming" and poster contest inside Fort Massac State Park Visitor Center. There will also be tours of the Curtis House Museum.  TBA: Tug boat tours.  3 p.m. - Presentation on the journey and development of The New Orleans steamboat.  1 p.m. Free presentation of "Metropolis Steamboat Memories" by Robert Swenson.  3 p.m. Free concert on the Ohio River banks.  5-7p.m.Cruise on the Belle of Cincinnati along the Ohio River. Dinner tickets are $42.70 and sight-seeing tickets are $21.25. Reserve tickets by calling B.B. Riverboats at 859-292-2449. The schedule can be found at www.metropolistourism.com.